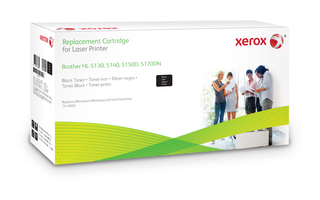 Toner Cartridges for Brother Printers from Xerox deliver brilliant image quality and excellent reliability at a low cost. Compared to the original Brother toner cartridge, you'll get better or equal page yield, pay around 25% less, and receive 100% lifetime warranty. Get more, pay less, without risk. Satisfaction is guaranteed.